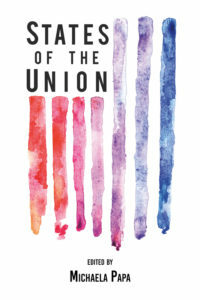 States of the Union by Michaela Papa In nonfiction, poetry, short fiction, artwork, and detailed interviews, States of the Union collects reflections from everyday Americans on the 2016 presidential election. Edited by Michaela Papa, States of the Union captures an honest, nonpartisan snapshot of America in the wake of a historic election. 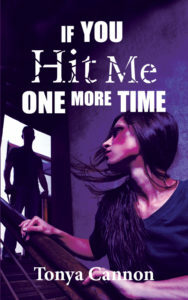 If You Hit Me One More Time by Tonya Cannon Growing up in the south, Tonya had a difficult childhood after a fatal mistake took her parents away. Slowly, she began to heal from the tragic events of her past until a cycle of domestic abuse begins to appear, leading her to make one of the bravest—and hardest—decisions of her life: to escape her abusive marriage once and for all. Join Tonya on a compelling journey of bravery, discovery, and hope as she strives to gain a new outlook on the world through faith and truly begin to heal. Do You Want to Know? 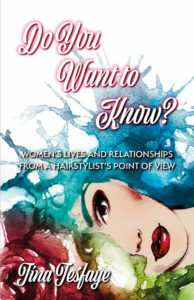 Women’s Lives and Relationships from a Hairstylist’s Point of View by Tina Tesfaye The bonds between women are some of the most strong and unique, and nothing shows that more than the voice of a woman herself. Do You Want to Know: Women’s Lives and Relationships from a Hairstylist’s Point of View is a first-person look into the lives of strong, take-charge women who will inspire readers to be equal and confident in all of their relationships. 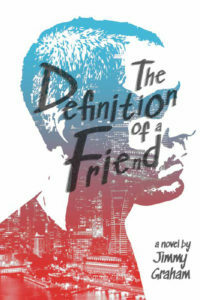 Definition of a Friend By Elaine Cornell Ida Bergstrom vividly remembers her childhood on her family’s farm in Bräkne-Hoby, Sweden. Her name was Inga Ohlsdotter then, the child of well-off parents who ran their own farm, tutored their daughters in English, and were well respected in the community. When her father develops a gambling problem, Inga and her family struggle to keep their family farm. In the turmoil, Inga begins to have prophetic dreams, a gift, her mother tells her, passed down to her from her Grandmother to guide her in times of trouble. 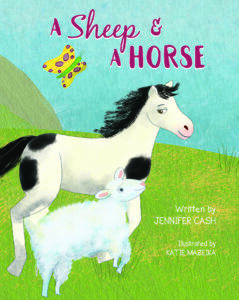 When the farm is finally sold after her father’s death, Inga goes to live with her aunt. It is not long before Inga realizes that she cannot stay in Sweden, and, perhaps, was never meant to. The first book in a three-part series, Sweden’s Child is a vibrant look at Swedish culture, a compelling immigrant’s narrative, and a moving coming of age tale all at once. People of all ages will see themselves in Inga’s challenges and will revel in her strengths and successes. 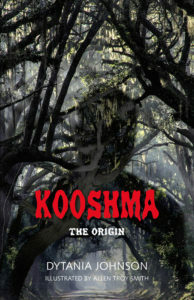 Kooshma: The Origin by Dytania Johnson The folk tale of Kooshma has been passed down in the South for generations. Now Dytania Johnson has put together the chilling tale of his origin. Witness the rage and suffering that leads Kooshma to become a legend in this horrifying tale of revenge. Join Sadie on a thrilling adventure as she discovers that her grandfather’s treasures are from a once forgotten land. 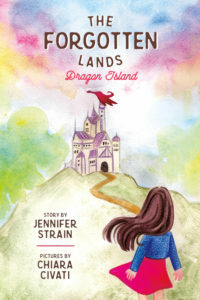 When Sadie and her cousins find a magical map, they are whisked away to a land where royalty is plagued by fire-breathing, book-eating dragons! Can Sadie save the Queen’s most prized possessions? 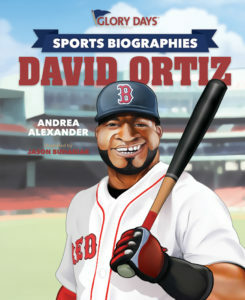 Glory Days Press Sports Biographies: David Ortiz by Andrea Alexander Glory Days Press Sports Biographies: David Ortiz from Glory Days Press is a biographical children’s book about one of the best hitters in Major League Baseball history. Designed to help kids fall in love with books, young readers can advance their vocabulary while learning everything there is to know about David Ortiz’s life. What’s College About Anyway? 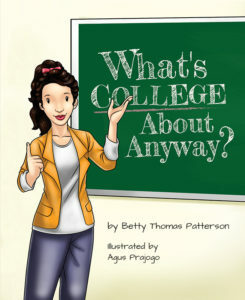 by Betty Thomas Patterson Have you ever dreamed of college? Today, Miss Sims is talking with her class about college and answering all of their questions. What can you study at college? Will you meet new people? Are there other things to do beside study? What’s college about anyway? 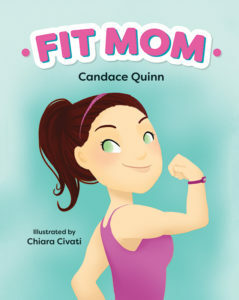 Fit Mom by Candace Quinn Join us in experiencing the transformation of a mother through her daughter’s eyes in this fun and imaginative take on the wacky world of parenting. Based on a true story, Fit Mom is a great read that introduces healthy habits for young readers and promotes healthy living for all ages. 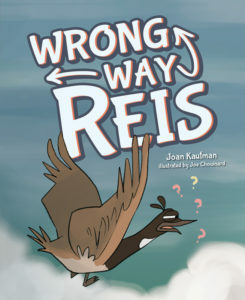 by Joan Kaufman Reis has waited years to lead his family on their migration, and the time has finally arrived! There’s just one problem—he doesn’t know which way to go. What good is a goose who doesn’t know how to fly south? Will he head in the right direction, or will he always be Wrong Way Reis? Hey Tuskegee! by Robert E. Constant Join Robbie and Saniyah on a trip to their parents’ alma mater for homecoming! Relive the magic of possibility and the immersive pageantry of school spirit as the siblings celebrate the accomplishments of iconic African-American alumni and historical figures who helped make Tuskegee University the incredible institution it is today. 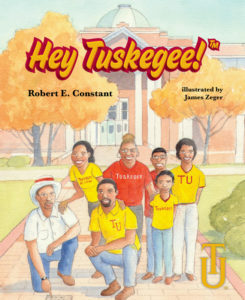 Written equally with nostalgic sentiment and educational insight, Hey Tuskegee!inspires past, present,and future students to be the best they can be. 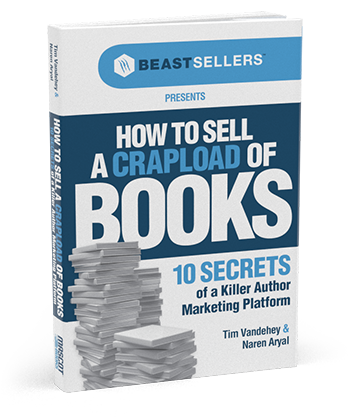 Don’t miss out on this instant classic! 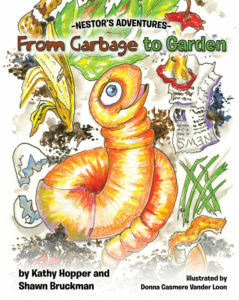 Nestor’s Adventures: From Garbage to Garden by Kathy Hopper and Shawn Bruckman Explore the world of composting with Nestor the earthworm. Learn how bacteria, fungi, and other composting friends turn a pile of organic waste into healthy compost! Follow along with Nestor in this richly illustrated tale and learn how your waste goes from garbage to garden. 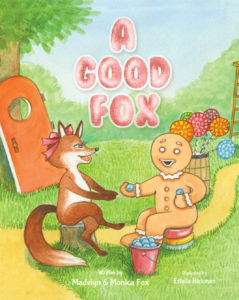 When a retired police dog named Jax witnesses a little girl wander into the woods alone,his world is turned upside-down in this charming twist on a classic story. 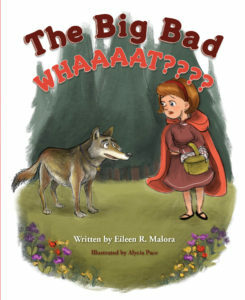 Vividly illustrated and unexpectedly original, The Big Bad WHAAAAT???? demonstrates that even the best intentions can become the misadventure of a lifetime. After all, there are two sides to every story. A portion of all proceeds is donated to support the life-saving efforts of Hi-Tor animal shelter. 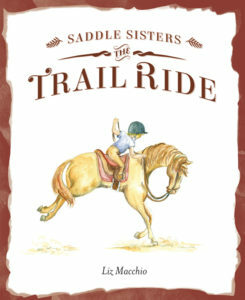 Saddle Sisters: The Trail Ride by Liz Macchio Riding should be fun! But when both the horses and their riders don’t get along, what will happen? Jessica and Rebecca are sisters, but Jessica thinks Rebecca asks too many questions, and they don’t get along. Snickers and Daisy are schooling horses, but Snickers thinks Daisy also asks too many questions, and they don’t get along either! Can the sisters and their horses figure out how to help each other and have fun? 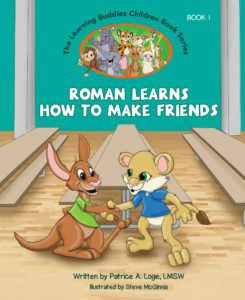 The Learning Buddies: Roman Learns How to Make Friends by Patricia Loge Roman the Lion is starting his first day of school, and he’s nervous to make friends. Follow along with Roman as he learn the social skills he needs to interact with others and have a good time! 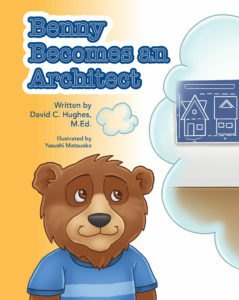 This fun yet educational book is the first of an eight-book series teaching children how to navigate the skills they need to navigate their lives. 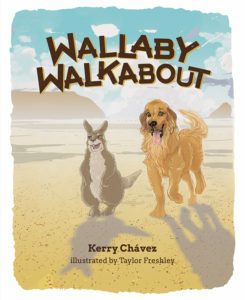 Wallaby Walkabout by Kerry Chávez Hoss is invited to accompany a wallaby on his walkabout, a very special tradition of exploring the land, culture, and identity. Wander with them through the Outback as they learn about its history, landmarks, and extraordinary creatures! Oh No! I Gotta Go to the Dentist! 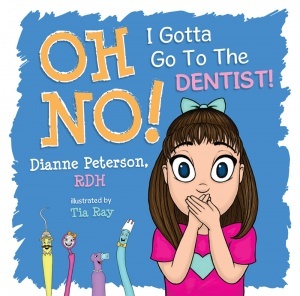 by Dianne Peterson Today, Lucy is going to the dentist for the first time and isn’t sure what to expect. But with the help of the Smile Squad–Minnie Mirror, Sammy Sippy, Explorer Eddy, and Pearly Polish–Lucy learns how a visit to the dentist can be fun and magical! The Very Hungry Cave Boy: Our Modern Day Challenge with Kids and Their Brains by Deirdre Pizzoferrato What drives us to make the decisions that we do? We’re constantly exposed to stimulus that drive pleasure, motivation, and, eventually, addiction, but at the center of all the outside in put is one thing: our brains. Unlocking the complex system that is our brain is an important part of raising well-balanced kids who understand how that powerful “machine” influences our day-to-day decisions. 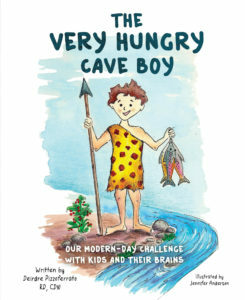 In the era of instant gratification, The Very Hungry Cave Boy helps kids understand why they do the things that they do, and how they can use that to be healthier, happier, and smarter. 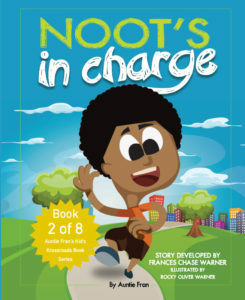 Noot’s in Charge by Frances Warner Norman doesn’t understand why his big brother, Noot, is always in charge! Will it ever be his turn to be in charge? How can he prove himself to be worthy? Gorgeously illustrated and thoughtfully written, Noot’s in Charge is an instant classic that explores the up’s and down’s of growing up with siblings. 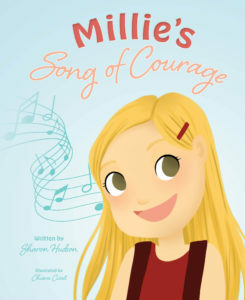 Millie’s Song of Courage by Sharon Hudson Millie loves to sing, but she’s scared of singing in front of people! She doesn’t want anyone to laugh at her, so she only sings when she’s alone. But with her beautiful voice, Millie deserves to sing in front of an audience. Can she find the courage to stand up in front of everyone and prove to herself that she can sing? 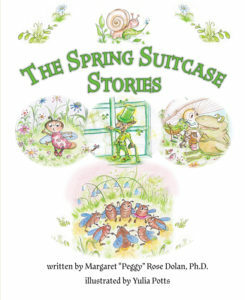 Traveling storyteller Margaret “Peggy” Rose Dolan has collected three more of her spring holiday stories in this wonderful collection: Barney Blarney, Everything is Green Today!, Bedelia and the Lightning Brigade, and Mitch the Mushroom as Told By A Big Old Fat Green Frog. 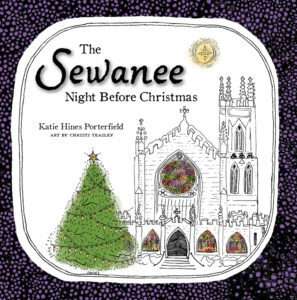 Come gather around as she lights a candle and opens her suitcase of stories for you and your family to enjoy. And be sure to look out for her companion stories, The Fall Suitcase Stories! In this story that will warm your heart! The Chicago Cubs’ Anthony Rizzo loves big dinners with his family when he’s not hitting home runs on the field. Take a look at what defined a baseball legend in the highly-anticipated literary debut from Amanda ReCupido and Matt Lynch. 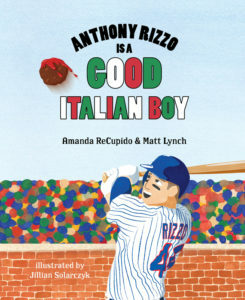 Richly illustrated and full of heart, Anthony Rizzo is a Good Italian Boy is sure to be an instant classic for fans of all ages. Are you hungry? 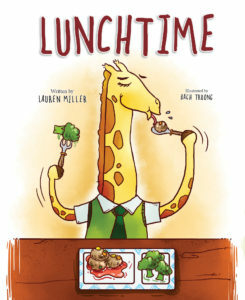 It’s lunchtime now! So let’s get ready—don’t worry, we’ll show you how! by Andra Gillum Riley is one happy dog living a charmed life with her mom and dad. 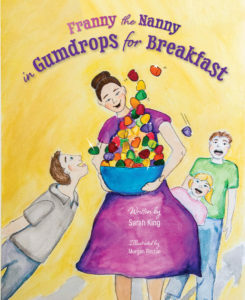 But as her family begins to grow, Riley must learn to adjust to crying babies, touchy toddlers, and a pushy new puppy. 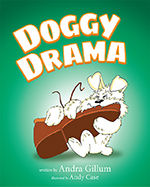 Read along to see the doggy drama unfold! When Benny is tasked with a daunting homework assignment to tell the class what he wants to do when he grows up, he is thrust into a journey of wonder and self-discovery. Will an enlightening conversation with his grandfather change everything? 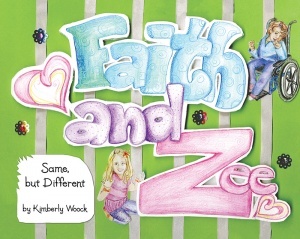 Faith and Zee are two sisters who may be different in many ways, but they also have many ways in which they’re the same. Come along and see how special kids can help you too see things in different ways!